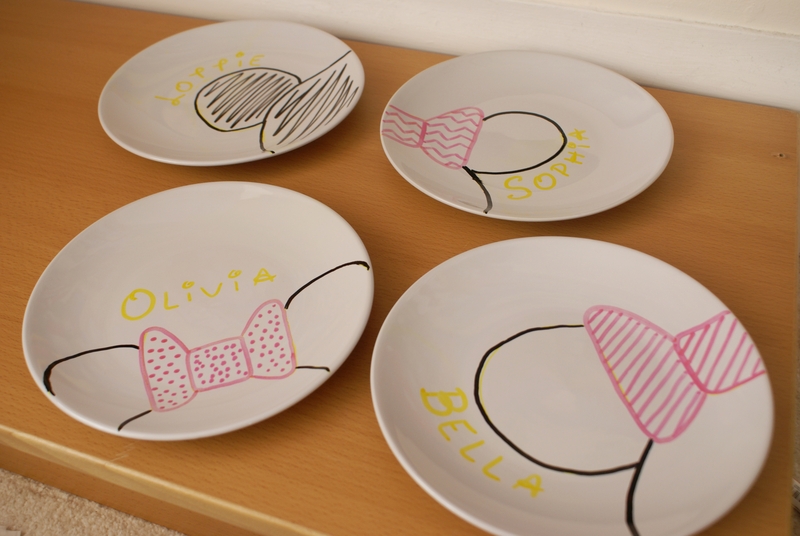 Who wouldn’t want to eat off a personalised Mickey/Minnie plate?! 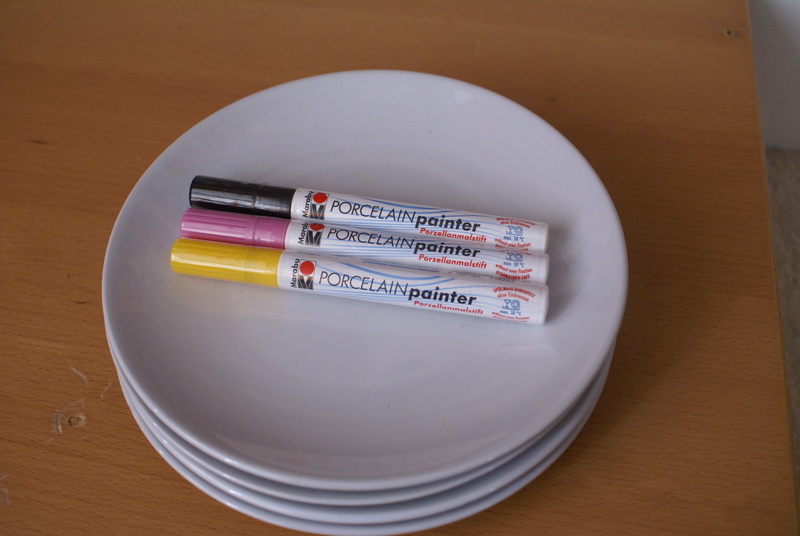 There are two ways to make cute crockery like this. 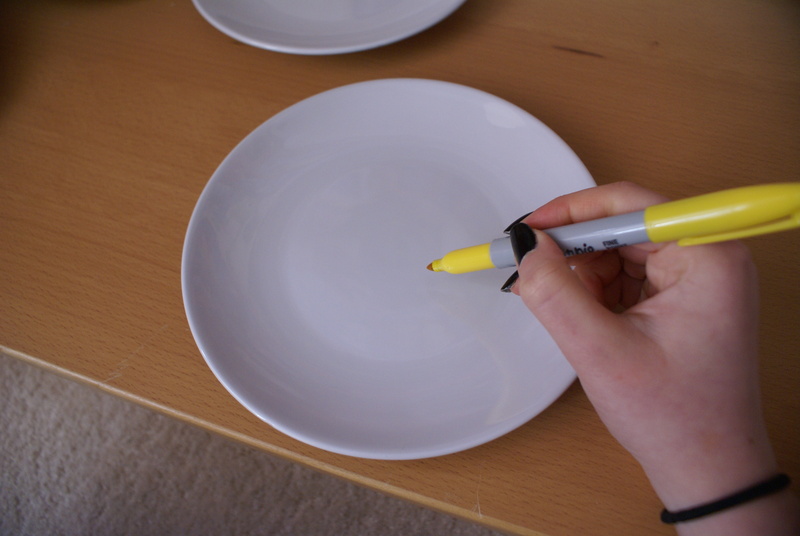 The ‘Sharpie’ method is sweeping Pinterest and all other corners of the internet, but personally I’ve never had much luck with it, so I’ve gone for the craft store alternative of ceramic pens. If you’re a Sharpie pro however, you may choose to take that route. 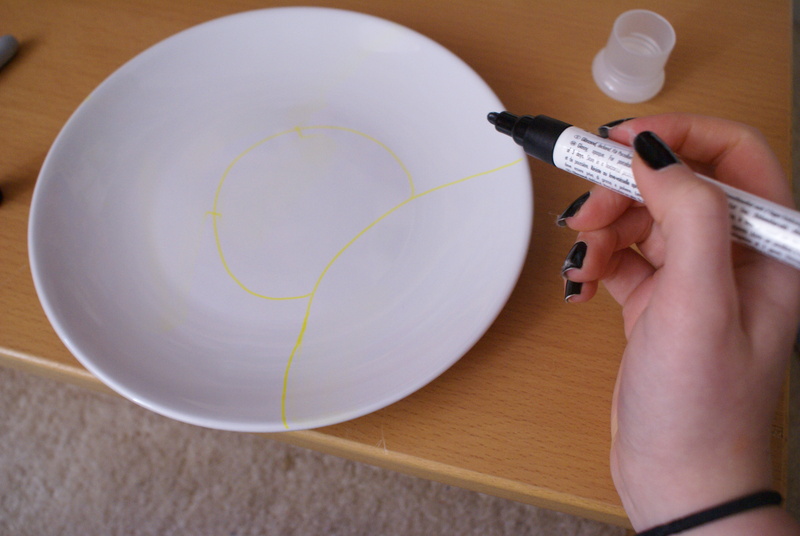 The Sharpie method, put simply, is to draw on clean (grease and dust free) ceramics with the famous permanent marker, then bake in an oven on medium heat for 30-40 mins to seal the ink into the glaze. As said before, this has never been successful for me. Don’t know why, I’m probably just unlucky! 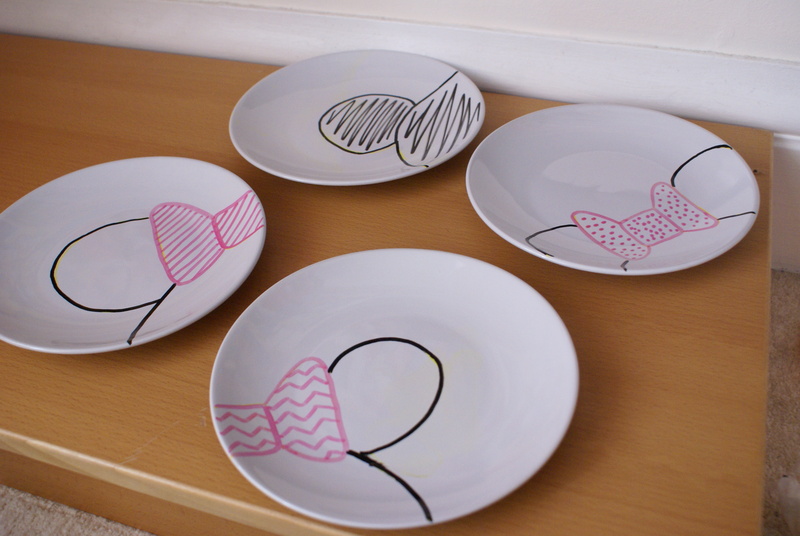 So I used a light coloured Sharpie to do a rough sketch of my design on each plate (as ceramic paint pens do not involve baking, I know that this ink will wash off in the dishwasher). Then its as simple as following over your sketch with the paint pen! I’m no artist, so I stuck to a simple outline design with abstract patterns to add colour – minimalistic, I call it! Despite a lack of most drawing skill, however, I’m fairly practised in the art of Disney-writing: that is, of course, the font of the great Walt Disney himself, so I added our names to each plate. My girls are gonna love these, can’t wait to surprise them with them on Thursday for movie night! 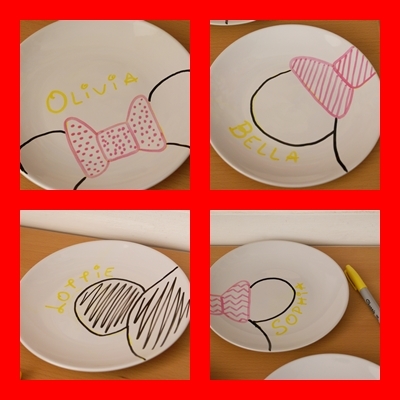 This entry was posted in Disney, Disney DIY and tagged craft, disney, diy, home, lottiedoesdisney, mickey, minnie, mouse, plates. Bookmark the permalink. 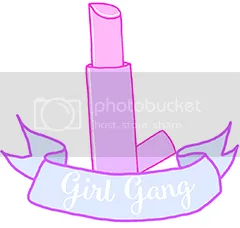 This is such a cool idea! If I was better at drawing (as simple as these are, I would still fail!) I would give them a go!